Second Life makes it easy to capture some of the moments that make a second life a wonderful fantasy. 2011 was by far the wildest roller coaster ride of my nearly five years as an avatar. At New Years, the future seemed to be an adventure with no end, but by Summer the adventure had ended terribly. Then I began again, started anew and here we are at Christmas. The thing is, Second Life has it’s own kind of reality and for many of us, maybe most of us, each year is a roller coaster ride. I have girlfriends I love who’ve been through their own ups and downs and ups in the past year. I’ve seen some friends who just can’t take the emotional swings and leave forever. But for those of us who remain, no matter how crazy the ride is, we stay because there are some great memories. So, here are some favorite memories from my 2011 fantasy. In January, Taka had brought snow to Yordie’s Zen Garden for the first time. 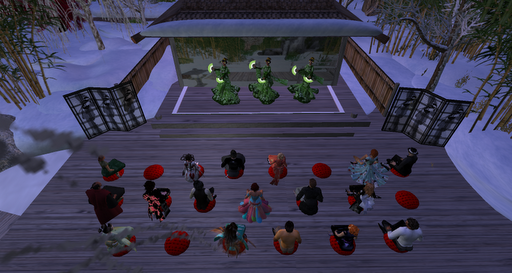 Then I had this crazy idea that I’d stage a short geisha show for our Winter Celebration. 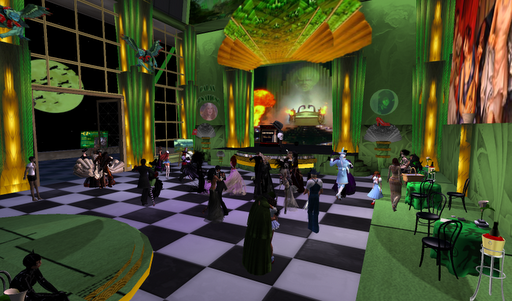 This party was one of the highlights of my second life. Friends filled the makeshift stage at the tea house, and Magi and LeLe danced while I performed, telling the story of the Rabbit Who Crossed the Sea. To make things truly amazing, my former onesan, Masumi Manamiko, was there and give me high marks for the performance. But this was just the first half hour, then as guests began dancing to DJ Javier’s tunes, Taka and I staged a martial arts exhibition. How cool was that! But we weren’t through, at the end of the evening, Thor staged a firework display! So, this event is a moment I’ll never forget. 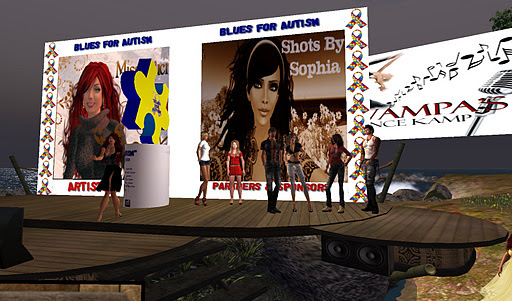 How could I not include Blues for Autism 2011? This was our fourth year of raising funds for autism awareness and we set an all time record of over L$1.5 million! Magi McBride once again showed how she could manage her way through great challenges and it is once again an honor to be part of her team. Here I am inside the Matsumoto Castle at Hosoi Ichiba with my favorite friend Mr. Matsumoto. This is where I wrote my first roleplay story, the Samurai & Geisha. Wow, it was such an amazing adventure for me (even though I died in the end; maybe an allegory of things to come). My story was not great literature, but it was an expedition into creativity for me. Btw, I’m in the process of porting the story to an ebook to make it easier to read. Then came the dark period. Things went wrong across a broad front. Taka and I broke up. My work at Yordie’s Zen Garden came to an end. There were many things that happened which I’m trying to just forget and, in fact, have forgotten. But time heals wounds and after leaving SL for a short time, I returned with a renewed interest in our fantasy world. I can’t say that the memories since my return have been as spectacular as they were in those days when illusion reined supreme, but slowly I’ve restarted my life. There was Halloween! And here was Oz and what a party that was! Truck & Ty & Magi sure do know how to throw a party and the part at Oz really filled my cup with joy. If you are down and troubled, there’s nothing quite like Halloween to turn your life around and so it was this year. All the costumes, all the parties and seeing friends you haven’t seen in awhile. That’s little tiny me in that big ole boat with 500hp engines! Oh yes! That’s the Seabiscuit and that’s the Blake Sea. This is where my sense of wanderlust was switched on again, in the late Summer. 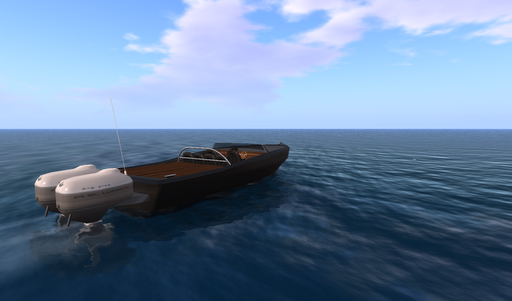 My human and I have a strong connection with the sea and that applies to Second Life as well. When I think about hundreds of sims along the Blake Sea, my mind dreams of adventure. And of course, Junkyard Blues! It’s hard to explain but after breaking up, I found it hard to be near old friends and the places I used to call home. For several months I was on the run, trying to shake off all that had gone wrong. But when this amazing, generous group of people get together to support a cause, there’s a wonderful sense of community and continuity. There are so many great memories! Wow, what an adventure. But that’s what this blog has been about, capturing all those moments. For this reason more than any, I recommend to anyone out there who is considering writing a blog to begin today. You’ll be so glad you did. So with a full heart, I look forward to 2012. Next up on my list of todo’s for this year, some New Years Resolutions. Note to self: stop trying to do so much. 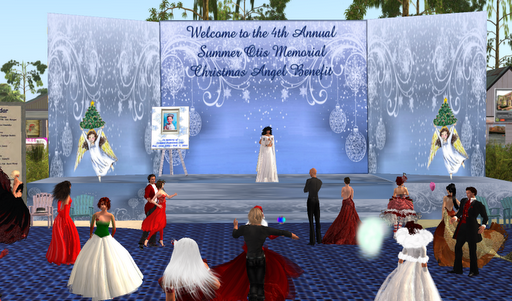 This entry was posted in Journal and tagged Perspectives, Photography, Second Life, Socialite, Virtual Fantasy Life. Bookmark the permalink.